You can cover an outside perimeter, perimeter line, Field zone and Facility protection using the full product line of sensors from Optex. You may be using sensing technology integrated with software solutions, such as video analytics. 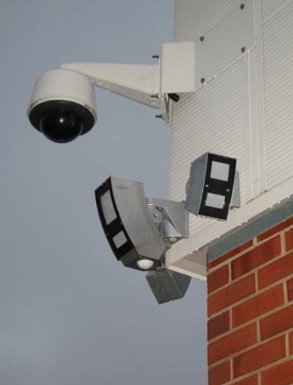 By combining different technologies with Redwall IP detectors, you can expect false alarms to reduce dramatically. They complement each other features and weak points. Redwall IP detectors can create virtual fence that detects humans, objects and hands where conventional sensing technology may be difficult to set detection area.